Ah, motivation. Sometimes you can feel it coursing through your veins, and sometimes it seems as fleeting as snow in the spring. When you feel completely out of motivation, burned out, or exhausted, what do you do? 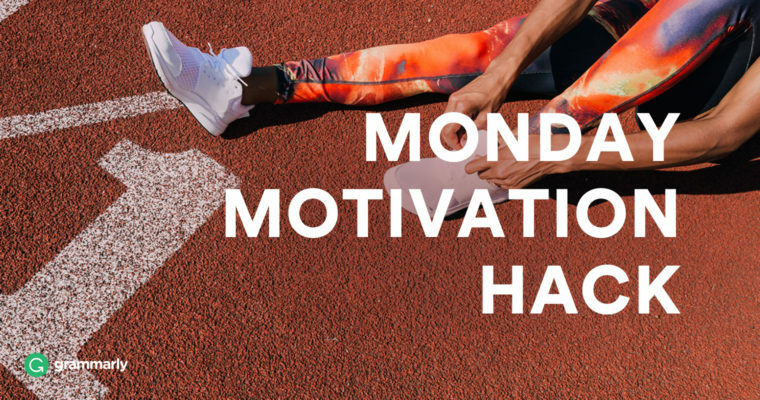 So far in our Monday Motivation Hack series, we’ve covered things that help you when you’re highly motivated, like to-do lists, morning routines, and mindfulness. But what about those days when getting out of bed seems like a struggle? These are the days when it’s time to switch gears and do something radical—give yourself a break. So today, I’m not going to write thousands of words on how to keep motivated. Instead, I’m giving you the space to take a breath, drink some water, and take that break. If you want to read something while you take a break, consider one of these. If you just want to walk around the block or watch pandas on YouTube, that’s fine, too. You deserve it.